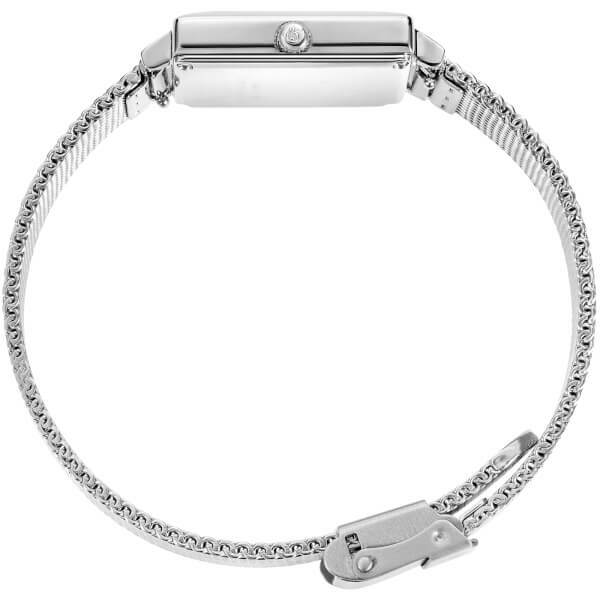 Silver tone, stainless steel watch from Swiss Made watch brand, Larsson & Jennings. 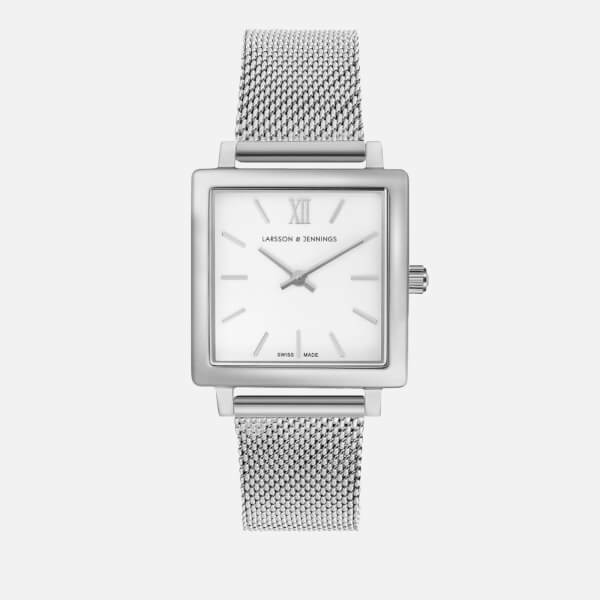 Celebrating classic British dress watch aesthetic, the timepiece boasts a dedication to minimal design. 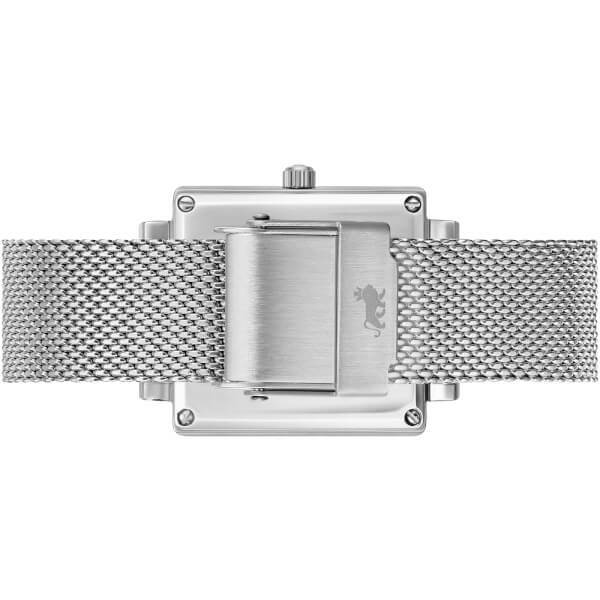 Crafted from premium stainless steel with a polished finish, the 'Norse' watch features a simple white dial with Roman numeral and dash hour markers, and fastens with an adjustable, Milanese mesh bracelet strap. The elegant design functions on a Ronda 784 movement, and is Swiss Made, a sign of high quality and increased accuracy. Complete with Sapphire crystal glass, an extremely scratch resistant material. Housed in a sophisticated storage box. Subtle branding to the dial. Case: Polished Stainless Steel. Strap: Milanese Mesh. Glass: Crystal Sapphire. Case Diameter: 27mm x 34mm.